The exhibition PLAYBACK. The African Union: 20 to 20,000 Hz gives insight into the working process of the sound artist Emeka Ogboh for a site specific project at the African Union. Ogboh won the competition to propose an artwork for the Julius Nyerere Peace and Security Building, the new building at the African Union in Addis Ababa. The exhibition presents a series of sound installations that engage with the past and present of the Association of African States. Ogboh based the exhibition on his comprehensive research in various audio archives. He juxtaposes historical speeches recorded by the Ethiopian radio network on the occasion of the founding ceremony of the Organisation of African Unity in 1963 with recitations of the African Union’s anthem translated into various African languages, newly arranged vocal compositions and sound recordings. Emeka Ogboh creates a dynamic archive of interwoven voices, songs, sounds and thoughts that echoes the African Union’s motto “unity in diversity” and explores its guiding principles and visions within a Pan-African context. The title refers to the range of frequencies audible to the human ear and emphasises the act of listening. 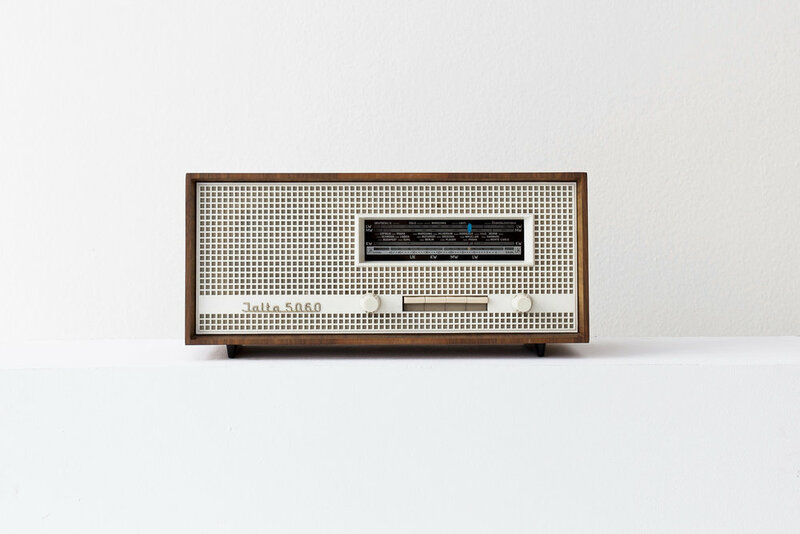 The artist reflects on the significance of words and language, the intimacy of personal encounter and the role of the radio in shaping collective memory and an institution’s cultural legacy. "Emeka Ogboh creates an auditory time capsule of this particular moment in African history, when Pan-Africanism played a distinct role in shaping continental identity. The exhibition tells a story – a story that is not simply lifted from the sepulchre of the archives, but an African story in the making." supported by the Goethe-Institut Addis Ababa. Born 1977 in Enugu, Nigeria. Lives and works in Lagos, Nigeria and Berlin, Germany. Emeka Ogboh won the competition to create an artwork for the new buiding of the Peace and Security Council of the African Union in Addis Ababa, Ethiopia. Ogboh specialises in digital audio media and video and is co-founder of Video Art Network (VAN) Nigeria, a platform that promotes New Media art activities in Nigeria.